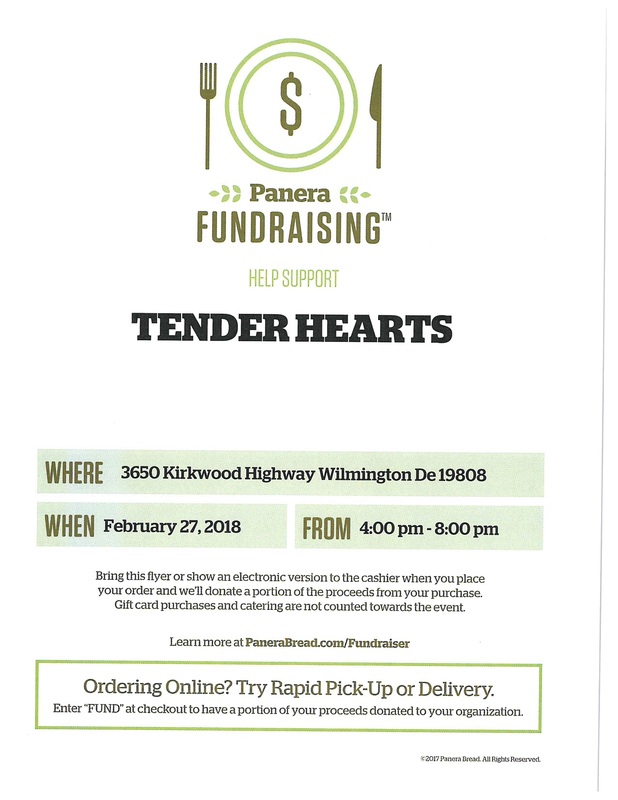 Tender Hearts Partner Up with Panera Bread – Tender Hearts Inc.
We are excited to partner with Panera Bread located at 3650 Kirkwood Highway, Wilmington, Delaware 19808 on February 27, 2018 from 4:00 pm – 8:00 pm. This is a great opportunity to support our organization. Tender Hearts will receive 20% of sales. The proceeds from this fundraiser will go to fund one of our new programs with A.I DuPont Hospital for Children. Please take this flyer or show an electronic version to the cashier when you place your order.